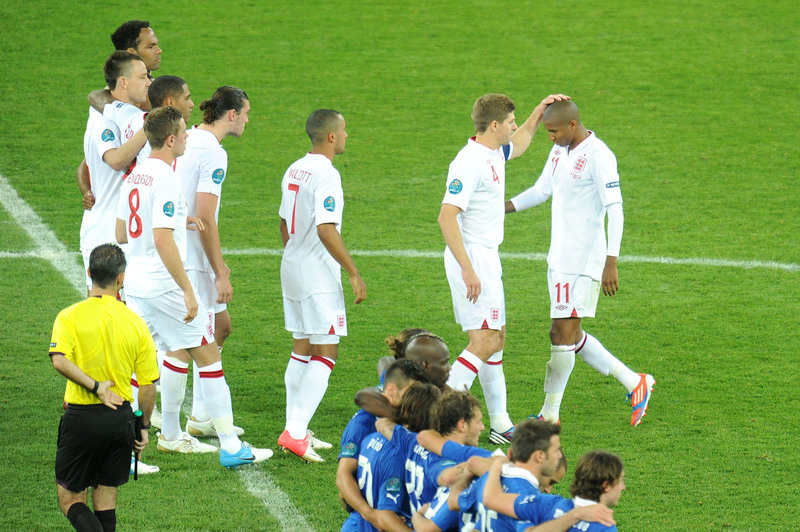 The tweet, strangely, comes several days after the Three Lions defeated Colombia on penalties, but around the same time that images surface online of Gareth Southgate comforting players on their side who missed their penalties. "Just Diernamite!" screamed the Sun after Eric Dier ended England's penalty hoodoo in Russian Federation, slotting home the decisive spot-kick to beat Colombia and qualify for the World Cup quarter-finals. England were pegged back 1-1 late on in Moscow, before coming out on top on penalties to set up Saturday's meeting with Sweden for a place in the final four. And he will be eager to get on the scoresheet once again when Sweden face England in Samara on Saturday. I think sometimes around major tournaments the relationships between our guys and the media has been a bit confrontational and I don't think it has to be that way. "So you've got to have a racehorse trainer's eye at times to sort that out". Kyle Walker is enjoying the season of his life, starring for England in the World Cup after winning the Premier League with Manchester City. The 36-year-old royal - who is the president of the Football Association - has praised the squad for their victory in the tense game after they managed to squeeze through to the next round of the competition. "I'm just sorry for the whole Colombian people", Maradona said. Gareth Southgate's men, including the steely Marcus Rashford, held their nerve in a shootout to record their first knockout win since 2006 and first ever shootout win at a World Cup.